Risk management plays a major role in the success and survival of various financial institutions around the world. Islamic Financial institutions not being the exception, on the contrary, given the authenticity of their modus operandi and the nature of their financial products, are obliged to use more credible and rigorous risk management systems. 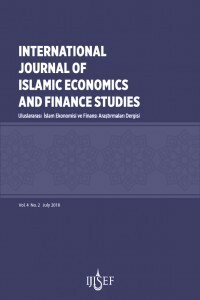 A thorough review of the Islamic economy literature based on books, research articles, monographs and reports, was conducted to prepare this study. The main objective is to define and explain the risk management tools (Urboun, Hamish al- Jiddiyah, Khiyarat, Rahn, etc.) used by Islamic financial institutions in financing instruments (Mourabaha, Ijarah, Salam, etc. ), in order to unveil their nature and specificity. Which enabled the creation of a summary table presenting the Risk management tools, the products in which they are used and the risks for which they are used. Ministry of Awqaf & Islamic Affairs Kuwait, 1983, « Al-Maouso’a Al-Fiqhia », Vol. 21, p. 57.